Jia Wu received the PhD degree in computer science from University of Technology Sydney, Australia. Currently, he is a Research Associate in the Centre for Artifical Intelligence, University of Technology Sydney, Australia. 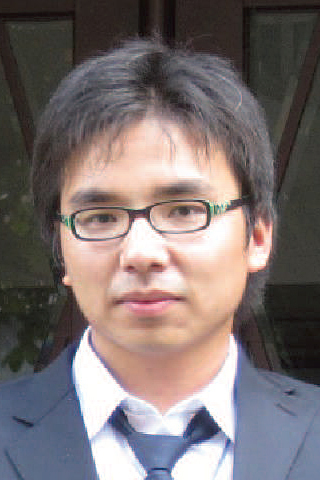 His research focuses on data mining and machine learning. Since 2009, he has published more than 60 refereed journal and conference papers (such as IEEE Trans. Knowl. Data Eng., IEEE Trans. Neural Netw. Learn. Syst., IEEE Trans. Cybern., Pattern Recognit., International Joint Conference on Artificial Intelligence (IJCAI), AAAI Conference on Artificial Intelligence (AAAI), IEEE International Conference on Data Mining (ICDM), SIAM International Conference on Data Mining (SDM), ACM Conference on Information and Knowledge Management (CIKM) etc.) in these areas, including one ICDM Best Paper Candidate Award. IEEE Graphs are commonly used to represent objects, such as images and text, for pattern classification. In a dynamic world, an object may continuously evolve over time, and so does the graph extracted from the underlying object. These changes in graph structure with respect to the temporal order present a new representation of the graph, in which an object corresponds to a set of time-variant graphs. In this paper, we formulate a novel time-variant graph classification task and propose a new graph feature, called a graph-shapelet pattern, for learning and classifying time-variant graphs. Graph-shapelet patterns are compact and discriminative graph transformation subsequences. A graph-shapelet pattern can be regarded as a graphical extension of a shapelet--a class of discriminative features designed for vector-based temporal data classification. To discover graph-shapelet patterns, we propose to convert a time-variant graph sequence into time-series data and use the discovered shapelets to find graph transformation subsequences as graph-shapelet patterns. By converting each graph-shapelet pattern into a unique tokenized graph transformation sequence, we can measure the similarity between two graph-shapelet patterns and therefore classify time-variant graphs. Experiments on both synthetic and real-world data demonstrate the superior performance of the proposed algorithms. © 2018 Elsevier Ltd Time series classification has attracted much attention in the last two decades. However, in many real-world applications, the acquisition of sufficient amounts of labeled training data is costly, while unlabeled data is usually easily to be obtained. In this paper, we study the problem of learning discriminative features (segments) from both labeled and unlabeled time series data. The discriminative segments are often referred to as shapelets. We present a new Semi-Supervised Shapelets Learning (SSSL for short) model to efficiently learn shapelets by using both labeled and unlabeled time series data. Briefly, SSSL engages both labeled and unlabeled time series data in an integrated model that considers the least squares regression, the power of the pseudo-labels, shapelets regularization, and spectral analysis. The experimental results on real-world data demonstrate the superiority of our approach over existing methods. IEEE The latent friend recommendation in online social media is interesting, yet challenging, because the user-item ratings and the user-user relationships are both sparse. In this paper, we propose a new dual implicit mining-based latent friend recommendation model that simultaneously considers the implicit interest topics of users and the implicit link relationships between the users in the local topic cliques. Specifically, we first propose an algorithm called all reviews from a user and all tags from their corresponding items to learn the implicit interest topics of the users and their corresponding topic weights, then compute the user interest topic similarity using a symmetric Jensen-Shannon divergence. After that, we adopt the proposed weighted local random walk with restart algorithm to analyze the implicit link relationships between the users in the local topic cliques and calculate the weighted link relationship similarity between the users. Combining the user interest topic similarity with the weighted link relationship similarity in a unified way, we get the final latent friend recommendation list. The experiments on real-world datasets demonstrate that the proposed method outperforms the state-of-the-art latent friend recommendation methods under four different types of evaluation metrics. © 2017 Springer Science+Business Media, LLC Recommender systems are designed to solve the information overload problem and have been widely studied for many years. Conventional recommender systems tend to take ratings of users on products into account. With the development of Web 2.0, Rating Networks in many online communities (e.g. Netflix and Douban) allow users not only to co-comment or co-rate their interests (e.g. movies and books), but also to build explicit social networks. Recent recommendation models use various social data, such as observable links, but these explicit pieces of social information incorporating recommendations normally adopt similarity measures (e.g. cosine similarity) to evaluate the explicit relationships in the network - they do not consider the latent and implicit relationships in the network, such as social influence. A target user's purchase behavior or interest, for instance, is not always determined by their directly connected relationships and may be significantly influenced by the high reputation of people they do not know in the network, or others who have expertise in specific domains (e.g. famous social communities). In this paper, based on the above observations, we first simulate the social influence diffusion in the network to find the global and local influence nodes and then embed this dual influence data into a traditional recommendation model to improve accuracy. Mathematically, we formulate the global and local influence data as new dual social influence regularization terms and embed them into a matrix factorization-based recommendation model. Experiments on real-world datasets demonstrate the effective performance of the proposed method. IEEE Many applications involve objects containing structure and rich content information, each describing different feature aspects of the object. Graph learning and classification is a common tool for handling such objects. To date, existing graph classification has been limited to the single-graph setting with each object being represented as one graph from a single structure-view. This inherently limits its use to the classification of complicated objects containing complex structures and uncertain labels. In this paper, we advance graph classification to handle multigraph learning for complicated objects from multiple structure views, where each object is represented as a bag containing several graphs and the label is only available for each graph bag but not individual graphs inside the bag. To learn such graph classification models, we propose a multistructure-view bag constrained learning (MSVBL) algorithm, which aims to explore substructure features across multiple structure views for learning. By enabling joint regularization across multiple structure views and enforcing labeling constraints at the bag and graph levels, MSVBL is able to discover the most effective substructure features across all structure views. Experiments and comparisons on real-world data sets validate and demonstrate the superior performance of MSVBL in representing complicated objects as multigraph for classification, e.g., MSVBL outperforms the state-of-the-art multiview graph classification and multiview multi-instance learning approaches. IEEE Random forests (RFs) are recognized as one type of ensemble learning method and are effective for the most classification and regression tasks. Despite their impressive empirical performance, the theory of RFs has yet been fully proved. Several theoretically guaranteed RF variants have been presented, but their poor practical performance has been criticized. In this paper, a novel RF framework is proposed, named Bernoulli RFs (BRFs), with the aim of solving the RF dilemma between theoretical consistency and empirical performance. BRF uses two independent Bernoulli distributions to simplify the tree construction, in contrast to the RFs proposed by Breiman. The two Bernoulli distributions are separately used to control the splitting feature and splitting point selection processes of tree construction. Consequently, theoretical consistency is ensured in BRF, i.e., the convergence of learning performance to optimum will be guaranteed when infinite data are given. Importantly, our proposed BRF is consistent for both classification and regression. The best empirical performance is achieved by BRF when it is compared with state-of-the-art theoretical/consistent RFs. This advance in RF research toward closing the gap between theory and practice is verified by the theoretical and experimental studies in this paper. © 1989-2012 IEEE. Multi-instance learning (MIL) is a useful tool for tackling labeling ambiguity in learning because it allows a bag of instances to share one label. Bag mapping transforms a bag into a single instance in a new space via instance selection and has drawn significant attention recently. To date, most existing work is based on the original space, using all instances inside each bag for bag mapping, and the selected instances are not directly tied to an MIL objective. As a result, it is difficult to guarantee the distinguishing capacity of the selected instances in the new bag mapping space. In this paper, we propose a discriminative mapping approach for multi-instance learning (MILDM) that aims to identify the best instances to directly distinguish bags in the new mapping space. Accordingly, each instance bag can be mapped using the selected instances to a new feature space, and hence any generic learning algorithm, such as an instance-based learning algorithm, can be used to derive learning models for multi-instance classification. Experiments and comparisons on eight different types of real-world learning tasks (including 14 data sets) demonstrate that MILDM outperforms the state-of-The-Art bag mapping multi-instance learning approaches. Results also confirm that MILDM achieves balanced performance between runtime efficiency and classification effectiveness. IEEE Time series has been a popular research topic over the past decade. Salient subsequences of time series that can benefit the learning task, e.g. classification or clustering, are called shapelets. Shapelet-based time series learning extracts these types of salient subsequences with highly informative features from a time series. Most existing methods for shapelet discovery must scan a large pool of candidate subsequences, which is a time-consuming process. A recent work, Grabocka:KDD14, uses regression learning to discover shapelets in a time series; however, it only considers learning shapelets from labeled time series data. This paper proposes an Unsupervised Salient Subsequence Learning (USSL) model that discovers shapelets without the effort of labeling. We developed this new learning function by integrating the strengths of shapelet learning, shapelet regularization, spectral analysis and pseudo-label to simultaneously and automatically learn shapelets to help clustering unlabeled time series better. The optimization model is iteratively solved via a coordinate descent algorithm. Experiments show that our USSL can learn meaningful shapelets, with promising results on real-world and synthetic data that surpass current state-of-the-art unsupervised time series learning methods. IEEE Due to its simplicity, efficiency and efficacy, naive Bayes (NB) has continued to be one of the top 10 algorithms in the data mining and machine learning community. Of numerous approaches to alleviate its conditional independence assumption, feature weighting has placed more emphasis on highly predictive features than those that are less predictive. In this paper, we argue that for NB highly predictive features should be highly correlated with the class (maximum mutual relevance), yet uncorrelated with other features (minimum mutual redundancy). Based on this premise, we propose a correlation-based feature weighting (CFW) filter for NB. In CFW, the weight for a feature is proportional to the difference between the feature-class correlation (mutual relevance) and the average feature-feature intercorrelation (average mutual redundancy). Experimental results show that NB with CFW significantly outperforms NB and all the other existing state-of-the-art feature weighting filters used to compare. Compared to feature weighting wrappers for improving NB, the main advantages of CFW are its low computational complexity (no search involved) and the fact that it maintains the simplicity of the final model. Besides, we apply CFW to text classification and have achieved remarkable improvements. IEEE This paper formulates the problem of learning discriminative features (i.e., segments) from networked time series data, considering the linked information among time series. For example, social network users are considered to be social sensors that continuously generate social signals represented as a time series. The discriminative segments are often referred to as shapelets in a time series. Extracting shapelets for time series analysis has been widely studied. However, existing works on shapelet selection assume that the time series are independent and identically distributed (i.i.d.). This assumption restricts their applications to social networked time series analysis since a user's actions can be correlated to his/her social affiliations. In this paper, we propose a novel network regularized least squares (NetRLS) feature selection model that combines typical time series data and user network data for analysis. Experiments on real-world Twitter, Weibo and DBLP networked time series data demonstrate the performance of the proposed method. NetRLS performs better than the representative baselines on four evaluation criteria, namely classification accuracy, AUC, F1-score, and statistical significance analysis. NetRLS also has competitive running time as the baselines. © 2016, Springer-Verlag London. In distance metric learning, recent work has shown that value difference metric (VDM) with a strong attribute independence assumption outperforms other existing distance metrics. However, an open question is whether VDM with a less restrictive assumption can perform even better. Many approaches have been proposed to improve VDM by weakening the assumption. In this paper, we make a comprehensive survey on the existing improved approaches and then propose a new approach to improve VDM by attribute weighting. We name the proposed new distance function as attribute-weighted value difference metric (AWVDM). Moreover, we propose a modified attribute-weighted value difference metric (MAWVDM) by incorporating the learned attribute weights into the conditional probability estimates of AWVDM. AWVDM and MAWVDM significantly outperform VDM and inherit the computational simplicity of VDM simultaneously. Experimental results on a large number of UCI data sets validate the performance of AWVDM and MAWVDM. © 2016 The construction of efficient and effective decision trees remains a key topic in machine learning because of their simplicity and flexibility. A lot of heuristic algorithms have been proposed to construct near-optimal decision trees. Most of them, however, are greedy algorithms that have the drawback of obtaining only local optimums. Besides, conventional split criteria they used, e.g. Shannon entropy, Gain Ratio and Gini index, are based on one-term that lack adaptability to different datasets. To address the above issues, we propose a less-greedy two-term Tsallis Entropy Information Metric (TEIM) algorithm with a new split criterion and a new construction method of decision trees. Firstly, the new split criterion is based on two-term Tsallis conditional entropy, which is better than conventional one-term split criteria. Secondly, the new tree construction is based on a two-stage approach that reduces the greediness and avoids local optimum to a certain extent. The TEIM algorithm takes advantages of the generalization ability of two-term Tsallis entropy and the low greediness property of two-stage approach. Experimental results on UCI datasets indicate that, compared with the state-of-the-art decision trees algorithms, the TEIM algorithm yields statistically significantly better decision trees and is more robust to noise. © 2017 Elsevier Ltd Extreme Learning Machine (ELM) is a popular machine learning method which can flexibly simulate the relationships of real-world classification applications. When facing problems (i.e., data sets) with a smaller number of samples (i.e., instances), ELM may often result in the overfitting trouble. In this paper, we propose a new Instance Cloned Extreme Learning Machine (IC-ELM for short) which can handle numerous different classification problems. IC-ELM uses an instance cloning method to balance the input data's distribution and extend the training data set, which alleviates the overfitting issue and enhances the testing classification accuracy. Experiments and comparisons on 20 UCI data sets, and validations on image and text classification applications, demonstrate that IC-ELM is able to achieve superior results compared to the original ELM algorithm and its variants, as well as several other classical machine learning algorithms. © 2017 Elsevier Inc. In signed social networks, link sign prediction refers to using the observed link signs to infer the signs of the remaining links, which is important for mining and analyzing the evolution of social networks. The widely used matrix factorization-based approach – Bayesian Probabilistic Matrix Factorization (BMF), assumes that the noise between the real and predicted entry is Gaussian noise, and the prior of latent features is multivariate Gaussian distribution. However, Gaussian noise model is sensitive to outliers and is not robust. Gaussian prior model neglects the differences between latent features, that is, it does not distinguish between important and non-important features. Thus, Gaussian assumption based models perform poorly on real-world (sparse) datasets. To address these issues, a novel Variational Bayesian Probabilistic Matrix Factorization with Student-t prior model (TBMF) is proposed in this paper. A univariate Student-t distribution is used to fit the prediction noise, and a multivariate Student-t distribution is adopted for the prior of latent features. Due to the high kurtosis of Student-t distribution, TBMF can select informative latent features automatically, characterize long-tail cases and obtain reasonable representations on many real-world datasets. Experimental results show that TBMF improves the prediction performance significantly compared with the state-of-the-art a lgorithms, especially when the observed links are few. © 2017 Elsevier Ltd.Multi-instance learning (MIL) is commonly used to classify a set of instances, also known as a bag, where labels for the training set are only available for each bag. Many MIL methods exist, but they often suffer from high computation complexity and the key information from MIL being ignored, which deteriorates the classification performance. Recently, locality-sensitive hashing (LSH), with its high scalability, has shown the ability in enhancing MIL performance. However, for these LSH-based methods, the fixed number of bits is used to represent each projected dimension, resulting in subtle information loss and the algorithm performance reduction. In this paper, we propose a self-adaptive LSH encoding method for MIL, termed as SALE. SALE uses LSH to generate the primary batches, followed by a self-adaptive process for reconstruction. Reconstructed bags are transformed into random super histograms (RSH) using an incomplete coding method, and then weighted through a scheme that takes advantage of key instances. These weighted RSHs are used to train the learning model. SALE efficiently deals with large MIL problems, due to its low complexity and RSH's ability to exploit key information of MIL. Experiments demonstrate SALE's good performance compared to state-of-the-art MIL methods. © 2017, © Emerald Publishing Limited. Purpose: This study aims to review the literature on graph-theoretic mining methods for node importance in both static and dynamic world city networks, which is correspondingly categorised by graph-theoretic node importance mining on network topologies and transmission mechanisms. Design/methodology/approach: The authors overview the graph-theoretic indicators of node importance: centrality and power. Then, the methods of graph-theoretic node importance mining on network topologies are assessed with node relevance, centrality- and power-based measurements, heterogeneous fusion and other miscellaneous approaches. The latest progress in transmission mechanisms is also reviewed in this study involving network evolution, node immunisation and robustness in dynamics. Finally, the findings are analysed and future directions in this field are suggested. Findings: The method development of node importance mining is driven by complex application-based problems within a transmission mechanism. Fusion measurements, based on centrality and power, are extended by other graph mining techniques in which power has a significant role. In conclusion, the trends of node importance mining focus on power-embedded fusion measurements in the transmission mechanism-based complex applications. Originality/value: This is the first systematic literature review of node importance from the view of graph-theoretic mining. IEEE Online reviews are extensively utilized by potential buyers to make business decisions. Unfortunately, fraudsters offer to write spam reviews for product promotion or competitor defamation, which drives online business holders to adopt this type of vicious strategy to increase their profits. These fake reviews always mislead users who shop online. Though existing anti-spam strategies have been proved to be effective in detecting traditional spam activities, evolving spam schemes can successfully cheat conventional testing by buying the comments of a massive number of random but genuine users which are sold by specific web markets, i.e., User Cloud. A more crucial problem is that such spam activities turn into a kind of 'advertising campaign' among business owners as they need to maintain their rank in the top few positions. In this paper, we propose a new Collaborative Marketing Hyping Detection solution, which aims to identify spam comments generated by the Spam Reviewer Cloud and to detect products which adopt an evolving spam strategy for promotion. Our experiments validate the existence of the Collaborative Marketing Hyping activities on a real-life e-commercial platform and also demonstrate that our model can effectively and accurately identify these advanced spam activities. © 2016 Springer-Verlag London Recent years have witnessed extensive studies of graph classification due to the rapid increase in applications involving structural data and complex relationships. To support graph classification, all existing methods require that training graphs should be relevant (or belong) to the target class, but cannot integrate graphs irrelevant to the class of interest into the learning process. In this paper, we study a new universum graph classification framework which leverages additional 'non-example' graphs to help improve the graph classification accuracy. We argue that although universum graphs do not belong to the target class, they may contain meaningful structure patterns to help enrich the feature space for graph representation and classification. To support universum graph classification, we propose a mathematical programming algorithm, ugBoost, which integrates discriminative subgraph selection and margin maximization into a unified framework to fully exploit the universum. Because informative subgraph exploration in a universum setting requires the search of a large space, we derive an upper bound discriminative score for each subgraph and employ a branch-and-bound scheme to prune the search space. By using the explored subgraphs, our graph classification model intends to maximize the margin between positive and negative graphs and minimize the loss on the universum graph examples simultaneously. The subgraph exploration and the learning are integrated and performed iteratively so that each can be beneficial to the other. Experimental results and comparisons on real-world dataset demonstrate the performance of our algorithm. In this paper, we advance graph classification to handle multi-graph learning for complicated objects, where each object is represented as a bag of graphs and the label is only available to each bag but not individual graphs. In addition, when training classifiers, users are only given a handful of positive bags and many unlabeled bags, and the learning objective is to train models to classify previously unseen graph bags with maximum accuracy. To achieve the goal, we propose a positive and unlabeled multi-graph learning (puMGL) framework to first select informative subgraphs to convert graphs into a feature space. To utilize unlabeled bags for learning, puMGL assigns a confidence weight to each bag and dynamically adjusts its weight value to select 'reliable negative bags.' A number of representative graphs, selected from positive bags and identified reliable negative graph bags, form a 'margin graph pool' which serves as the base for deriving subgraph patterns, training graph classifiers, and further updating the bag weight values. A closed-loop iterative process helps discover optimal subgraphs from positive and unlabeled graph bags for learning. Experimental comparisons demonstrate the performance of puMGL for classifying real-world complicated objects. Multitask learning (MTL) is commonly used for jointly optimizing multiple learning tasks. To date, all existing MTL methods have been designed for tasks with feature-vector represented instances, but cannot be applied to structure data, such as graphs. More importantly, when carrying out MTL, existing methods mainly focus on exploring overall commonality or disparity between tasks for learning, but cannot explicitly capture task relationships in the feature space, so they are unable to answer important questions, such as what exactly is shared between tasks and what is the uniqueness of one task differing from others? In this paper, we formulate a new multitask graph learning problem, and propose a task sensitive feature exploration and learning algorithm for multitask graph classification. Because graphs do not have features available, we advocate a task sensitive feature exploration and learning paradigm to jointly discover discriminative subgraph features across different tasks. In addition, a feature learning process is carried out to categorize each subgraph feature into one of three categories: 1) common feature; 2) task auxiliary feature; and 3) task specific feature, indicating whether the feature is shared by all tasks, by a subset of tasks, or by only one specific task, respectively. The feature learning and the multiple task learning are iteratively optimized to form a multitask graph classification model with a global optimization goal. Experiments on real-world functional brain analysis and chemical compound categorization demonstrate the algorithm's performance. Results confirm that our method can be used to explicitly capture task correlations and uniqueness in the feature space, and explicitly answer what are shared between tasks and what is the uniqueness of a specific task. Deep networks have achieved excellent performance in learning representation from visual data. However, the supervised deep models like convolutional neural network require large quantities of labeled data, which are very expensive to obtain. To solve this problem, this paper proposes an unsupervised deep network, called the stacked convolutional denoising auto-encoders, which can map images to hierarchical representations without any label information. The network, optimized by layer-wise training, is constructed by stacking layers of denoising auto-encoders in a convolutional way. In each layer, high dimensional feature maps are generated by convolving features of the lower layer with kernels learned by a denoising auto-encoder. The auto-encoder is trained on patches extracted from feature maps in the lower layer to learn robust feature detectors. To better train the large network, a layer-wise whitening technique is introduced into the model. Before each convolutional layer, a whitening layer is embedded to sphere the input data. By layers of mapping, raw images are transformed into high-level feature representations which would boost the performance of the subsequent support vector machine classifier. The proposed algorithm is evaluated by extensive experimentations and demonstrates superior classification performance to state-of-the-art unsupervised networks. © 2016 Elsevier B.V.In this paper we study a new problem of online discovering diffusion provenances in large networks. Existing work on network diffusion provenance identification focuses on offline learning where data collected from network detectors are static and a snapshot of the network is available before learning. However, an offline learning model does not meet the need for early warning, real-time awareness, or a real-time response to malicious information spreading in networks. To this end, we propose an online regression model for real-time diffusion provenance identification. Specifically, we first use offline collected network cascades to infer the edge transmission weights, and then use an online l 1 non-convex regression model as the identification model. The proposed methods are empirically evaluated on both synthetic and real-world networks. Experimental results demonstrate the effectiveness of the proposed model. © 2015 Springer-Verlag London In this paper, we formulate a new multi-graph-view learning task, where each object to be classified contains graphs from multiple graph-views. This problem setting is essentially different from traditional single-graph-view graph classification, where graphs are collected from one single-feature view. To solve the problem, we propose a cross graph-view subgraph feature-based learning algorithm that explores an optimal set of subgraphs, across multiple graph-views, as features to represent graphs. Specifically, we derive an evaluation criterion to estimate the discriminative power and redundancy of subgraph features across all views, with a branch-and-bound algorithm being proposed to prune subgraph search space. Because graph-views may complement each other and play different roles in a learning task, we assign each view with a weight value indicating its importance to the learning task and further use an optimization process to find optimal weight values for each graph-view. The iteration between cross graph-view subgraph scoring and graph-view weight updating forms a closed loop to find optimal subgraphs to represent graphs for multi-graph-view learning. Experiments and comparisons on real-world tasks demonstrate the algorithm's superior performance. © 2015 Elsevier Ltd. SuperParent-One-Dependence Estimators (SPODEs) represent a family of semi-naive Bayesian classifiers which relax the attribute independence assumption of Naive Bayes (NB) to allow each attribute to depend on a common single attribute (superparent). SPODEs can effectively handle data with attribute dependency but still inherent NB's key advantages such as computational efficiency and robustness for high dimensional data. In reality, determining an optimal superparent for SPODEs is difficult. One common approach is to use weighted combinations of multiple SPODEs, each having a different superparent with a properly assigned weight value (i.e., a weight value is assigned to each attribute). In this paper, we propose a self-adaptive SPODEs, namely SODE, which uses immunity theory in artificial immune systems to automatically and self-adaptively select the weight for each single SPODE. SODE does not need to know the importance of individual SPODE nor the relevance among SPODEs, and can flexibly and efficiently search optimal weight values for each SPODE during the learning process. Extensive experiments and comparisons on 56 benchmark data sets, and validations on image and text classification, demonstrate that SODE outperforms state-of-the-art weighted SPODE algorithms and is suitable for a wide range of learning tasks. Results also confirm that SODE provides an appropriate balance between runtime efficiency and accuracy. © 2016. Extreme Learning Machine (ELM) is a promising model for training single-hidden layer feedforward networks (SLFNs) and has been widely used for classification. However, ELM faces the challenge of arbitrarily selected parameters, e.g., the network weights and hidden biases. Therefore, many efforts have been made to enhance the performance of ELM, such as using evolutionary algorithms to explore promising areas of the solution space. Although evolutionary algorithms can explore promising areas of the solution space, they are not able to locate global optimum efficiently. In this paper, we present a new Memetic Algorithm (MA)-based Extreme Learning Machine (M-ELM for short). M-ELM embeds the local search strategy into the global optimization framework to obtain optimal network parameters. Experiments and comparisons on 46 UCI data sets validate the performance of M-ELM. The corresponding results demonstrate that M-ELM significantly outperforms state-of-the-art ELM algorithms. In the process of learning the naive Bayes, estimating probabilities from a given set of training samples is crucial. However, when the training samples are not adequate, probability estimation method will inevitably suffer from the zero-frequency problem. To avoid this problem, Laplace-estimate and M-estimate are the two main methods used to estimate probabilities. The estimation of two important parameters m (integer variable) and p (probability variable) in these methods has a direct impact on the underlying experimental results. In this paper, we study the existing probability estimation methods and carry out a parameter Cross-test by experimentally analyzing the performance ofM-estimate with different settings for the two parameters m and p. This part of experimental result shows that the optimal parameter values vary corresponding to different data sets. Motivated by these analysis results, we propose an estimation model based on self-adaptive differential evolution. Then we propose an approach to calculate the optimal m and p value for each conditional probability to avoid the zero-frequency problem. We experimentally test our approach in terms of classification accuracy using the 36 benchmark machine learning repository data sets, and compare it to a naive Bayes with Laplace-estimate and M-estimate with a variety of setting of parameters from literature and those possible optimal settings via our experimental analysis. The experimental results show that the estimation model is efficient and our proposed approach significantly outperforms the traditional probability estimation approaches especially for large data sets (large number of instances and attributes). © Springer Science+Business Media New York 2013. One related area that has received little attention with regards to AODE is the use of attribute weights for ranking. This paper investigates how to learn an AWAODE with accurate ranking from data sets. We first explore various methods, such as gain ratio, correlation-based feature selection attribute selection algorithm, mutual information and relief attribute ranking algorithm. Our experiments clearly show that an attribute weighted AODE trained to produce AUC ranking outperforms AODE and NB. Then, we propose a new approach to weight AODE for generating accurate ranking, called decision tree-based attribute weighted averaged one-dependence estimator, simply DTWAODE. In DTWAODE, the weight for an attribute is set according to its depth in the decision tree building on the training samples. The experimental results show that our new attribute weighted model via AODE performance effectively than AODE and other attribute weighted approaches on AUC. Copyright © 2014 Inderscience Enterprises Ltd.
Naïve Bayes (NB) is a probability-based classification model based on the conditional independence assumption. However, in many real-world applications, this assumption is often violated. Responding to this fact, superparent-one-dependence estimators (SPODEs) weaken the attribute independence assumption by using each attribute of the database as the superparent. Aggregating one-dependence estimators (AODEs), which estimates the corresponding parameters for every SPODE, has been proved to be one of the most efficient models due to its high accuracy among those improvements for NB classifier. This paper investigates a novel approach to ensemble the single SPODE based on the boosting strategy, Boosting for superparent-one-dependence estimators, simply, BODE. BODE first endows every instance a weight, and then find an optimal SPODE with highest accuracy in each iteration as a weak classifier. By doing so, BODE boosts all the selected weak classifiers to do the classification in the test processing. Experiments on UCI datasets demonstrate the algorithm performance. Copyright © 2013 Inderscience Enterprises Ltd. In this paper, we first present active Averaged One-Dependence Estimator (AODE) learning classification model, which can improve the performance of AODE by selecting and asking experts to label the samples only with maximum information. Several common sampling strategies for active learning are discussed. Unfortunately, these methods can get the outlier, which will lead to scale up the classification-reduced error and high complexity. Motivated by those analyses, we propose a new active learning strategy, which is based on the uncertainty sampling and classification accuracy loss sampling strategy. Experimental results on three UCI standard data sets and a real remote sensing data set show that the AODE classification model and our novel active learning strategy can get better classification accuracy with fewer labelled samples than that of the state-of-the-art approaches for active learning. © 2013 Inderscience Enterprises Ltd.
Clone selection is a new artificial intelligence technology, with self-organization, self-learning, selfrecognition, self-memory capacity. In the traditional clone selection algorithm for data classification, all the attributes for classification have the same influence, which affects its classification performance to some extent, given an appropriate weight for each attribute value can modify this imbalance. Accordingly this, proposes a weighted clone selection algorithm based on rough set to improve the performance of clone selection. In weighted clone selection algorithm attribute weights obtained directly from the training data using rough set theory, the attribute weights was used to test Data classification. Then verify the validity of the method by the experiments of UCI data sets. © 2013 ACADEMY PUBLISHER. Wu, J, Cai, Z & Jin, X 2013, 'Self-adapting differential evolution and its application on remote sensing image supervised classification', Wuhan Daxue Xuebao (Xinxi Kexue Ban)/Geomatics and Information Science of Wuhan University, vol. 38, no. 1, pp. 23-26. A new classification algorithm is proposed for remote sensing imagery based on the self-adapting differential evolution to be waged against the three main disadvantages of traditional classification algorithm for remote sensing image: multiple constraints, easy to fall into local optimal solution, lower classification accuracy. In the new method for supervised classification of multi/hyper-spectral remote sensing image, the globally optimal cluster centers are firstly learned by using the self-adapting differential evolution algorithm, and then the whole remote sensing image can be classified by the cluster centers. The proposed algorithm for classification of remote sensing image is based on the standard differential evolution. The experimental results show that the self-adapting differential evolution clustering algorithm has higher classification accuracy than the traditional classification algorithm of remote sensing image. The classification accuracy and the kappa coefficient can reach 92.66% and 0.901 7, which has some practical application value. Classification is an important technology in data mining, while clonal selection algorithm (CSA) is a very effective classification method. Although CSA brings a new effective tool for solving complex problems, we can not completely say that it over-performs to other algorithms especially in the classification field. A main problem of CSA classifier is that it does not carry attribute imbalance. It uses a pure distance criterion to calculate affinity degree of the antibody and antigen. So we utilize weighting attribute scheme to balance the effects of attributes in classification process and attribute weighted CSA (AWCSA) comes into existence. The efficiency of AWCSA lies mainly in the attribute weighting scheme it uses. In this paper we use differential evolution (DE) algorithm to determine the weights of attributes and then use these weights in AWCSA. We evaluate the performance of new algorithm (DE-AWCSA) on six standard datasets. Experimental results show that this attribute weighting process highly benefits the classification accuracy. © 2012 Academy Publisher. K-nearest-neighbour (KNN) as an important classification method has been widely used in data mining. However, the class probability estimation, the neighbourhood size and the type of distance function confronting KNN may affect its classification accuracy. Many researchers have been focused on improving the accuracy of KNN via distance weighted, attribute weighted, and dynamic selected methods etc. In this paper, we firstly reviewed some improved algorithms of KNN in three categories mentioned above. Then, we singled out an improved algorithm called dynamic KNN with distance and attribute weighted, simply DKNDAW. We experimentally tested our new algorithm in Weka system. In our experiment, we compared it to KNN, WAKNN, KNNDW, KNNDAW, and DKNN. The experimental results show that DKNDAW significantly outperforms other algorithms in terms of the classification accuracy. Besides, how to learn a weighted DKNDAW with accurate ranking from data, or more precisely, different attribute weighted method of DKNDAW can produce accurate ranking. We explore various methods: the gain ratio method, the correlation-based feature selection method, and the decision tree-based method. We concluded that the gain ratio method is more suitable for our improved KNN algorithm DKNDAW. Copyright © 2012 Inderscience Enterprises Ltd.
Bayesian Network (BN) is a popular classification technique for data mining and machine learning, which is based on the attribute independence assumption. Researchers have proposed out many effective methods to improve the performance of Bayesian Network Classifiers (BNC) by lowering its primary weakness-the assumption that attributes are independent given the class, such as backwards sequential elimination method, lazy elimination method and so on. Recently, some new technology has been used to improve the accuracy of BNC. In this paper, our research is focused on weighted method in Attribute Weighted Bayesian Network Classifiers (WBNC). We firstly make a detailed experimental analysis to investigate the effect of attribute weight on the various BNC, such as NB, AODE and HNB. Then we present an improved weighted attribute method in connection with NBC based on differential evolution algorithms, simply DE-WBNC. In DE-WBNC, we use differential evolution algorithms to determine the weights of attributes and then use these weights in our previously developed WBNC. We evaluate the performance of new configuration DE-WBNC on the whole 36 standard UCI data sets in Weka system. Experimental results confirm the effectiveness of the new methods. Comparisons with state-of-the-art attribute methods via the based BNCs (NB, AODE and HNB), DE-WBNC, are provided, highlighting advantages on classification accuracy of the methods proposed. © 2012 American Scientific Publishers. The Agent localization is very important in RoboCup. To solve the localization problem is a key issue in making truly autonomous agent. It can be difficult to try to make it own mind to what to do next. The existence of uncertainty in both the driving and the sensing of the agent is the key aspect to determine the location of agent as accurately as possible. The uncertain information should be combined in an optimal way. In this paper, we propose out a novel method to get the localization of agent. In our new method, we use the combination of visual and communication methods to achieve the target. Communications mainly use coding approach, visual mainly through geometry and rotation matrix approach. The results of applying new method to competition of the Robot Cup Opening show that the positioning of the agents using our methods in aspects of speed and accuracy can satisfy the requirement. Hematite, as a typical alteration mineral, plays a very important role in uranium exploration. Traditional modeling method usually treats every feature with the same probability. However, this does not hold in many real world applications, which may also cause the reduction of the accuracy of prediction. We propose a novel method called WKNN-SMOreg, which weights the features according to the association of their attributes on the hybrid of KNN and SMOreg. In this way, the error caused by the features with lower association will be reduced. The experiment results show, compared with KNN, SVM and KNN-SMOreg, the novel method improves the accuracy of prediction, and reduces the negative impact of the noise, which also implies that the new method can be well applied in the prediction of alteration minerals. The naive Bayes (NB) is a popular classification technique for data mining and machine learning, which is based on the attribute independence assumption. Researchers have proposed out many effective methods to improve the performance of NB by lowering its primary weakness-the assumption that attributes are independent given the class, such as backwards sequential elimination method, lazy elimination method and so on. Recently, Mark Hall presents a simple filter method for setting attribute weights for naive Bayes and proposes a decision tree-based attribute weighted method. In his paper, the experimental results show that the new weighted method performs better than other weighted methods. That weighting idea is taken as the objective of our study in which we use differential evolution algorithms to determine the weights of attributes and then use these weights in our previously developed Weighted Naïve Bayes (WNB). We evaluate the performance of new configuration (DE-WNB) on the whole 36 standard UCI data sets in Weka system. We also compare it with the decision tree-based attribute weighted methods and other methods mentioned in Mark Hall' paper for those data sets. Our experimental results show that the classification accuracy of our new algorithm DE-WNB is much higher than those of the other algorithms used to compare. The obtained classification accuracy is very good with respect to other common WNB classifiers in literature. Copyright © 2011 Binary Information Press. Hydromica is a typical alteration mineral in granite-type uranium deposit, and also an important indication of uranium. The amount of hydromica to some extent reflects the strength of hydromicasization in uranium deposit. Because of the bad performance of the traditional modeling methods in prediction, in the present paper, the authors' adopt SMOreg in the spectral modeling for hydromica, and validate its effectiveness. The authors' also propose a novel method called ICSMOreg. In this method the authors' employ instance cloned method to learn the samples selected by having a strong affinity with the test sets, and then get the new samples into SMOreg to build the spectral model. Finally, we experimentally compare ICSMOreg with SMOreg, artificial neural network, model tree and the common modeling methods like linear regression, multiple linear regression. The result shows that the new method improves the accuracy of prediction, and also reduces the negative impact of noise. Wu, J & Cai, Z 2011, 'Learning averaged one-dependence estimators by attribute weighting', Journal of Information and Computational Science, vol. 8, no. 7, pp. 1063-1073. Averaged One-Dependence Estimators (AODE) as the most effective improved Naive Bayes (NB) algorithm is a probabilistic classification learning technique. It addresses the attribute independence assumption of naive Bayes by averaging all of the dependence estimators. Researchers have proposed out many effective methods to improve the performance of AODE, such as attribute weighted method, backwards sequential elimination method, lazy elimination method and so on. In this paper, our research is focused on weighted method. We firstly present a new filter method for setting attribute weights for using with AODE, and we explore two attribute weighed methods: the gain ratio method and the correlation-based feature selection method for our new attribute weighted model via AODE. Then we present an improved algorithm based on the new weighted model called Decision Tree-based Attribute Weighted Averaged One-dependence Estimator, simply DTWAODE. In DTWAODE, the weight for an attribute is set according to its depth in the decision tree building on the training samples. We experimentally tested DTWAODE in Weka system, using the whole 36 standard UCI data sets. The experimental results show that our new attribute weighted model via AODE performance effectively. And our new algorithm based on the model performs better than other attributed weighted AODE algorithms used to compare. Copyright © 2011 Binary Information Press. Li, C, Jiang, L & Wu, J 2009, 'Distance and attribute weighted k-nearest-neighbor and its application in reservoir porosity prediction', Journal of Information and Computational Science, vol. 6, no. 2, pp. 845-851. Porosity is an important parameter describing the quality of container rock, and it is of far reaching importance to production development and estimation of reserves. Therefore, high precision reservoir porosity prediction is the key problem to constructing geological model of reservoir. In this paper, we firstly investigate some typical regression algorithms, which can be used to address the reservoir porosity prediction problem. Then, we single out an improved k-nearest-neighbor algorithm via synchronously weighting the attributes and the distances. We call our improved algorithm distance and attribute weighted k-nearest-neighbor, simply KNNDAW. Our experimental results on four practical examples show that the accuracy of KNNDAW is much higher than those of the other algorithms used to compare. Copyright ©2009 Binary Information Press. Dai, C, Wu, J, Pi, D & Cui, L 2018, 'Brain EEG time series selection: A novel graph-based approach for classification', SIAM International Conference on Data Mining, SDM 2018, pp. 558-566. © 2018 by SIAM. Brain Electroencephalography (EEG) classification is widely applied to analyze cerebral diseases in recent years. Unfortunately, invalid/noisy EEGs degrade the diagnosis performance and most previously developed methods ignore the necessity of EEG selection for classification. To this end, this paper proposes a novel maximum weight clique-based EEG selection approach, named mwcEEGs, to map EEG selection to searching maximum similarity-weighted cliques from an improved Fréchet distance-weighted undirected EEG graph simultaneously considering edge weights and vertex weights. Our mwcEEGs improves the classification performance by selecting intra-clique pairwise similar and inter-clique discriminative EEGs with similarity threshold . Experimental results demonstrate the algorithm effectiveness compared with the state-of the-art time series selection algorithms on real-world EEG datasets. © 2018 International Joint Conferences on Artificial Intelligence. All right reserved. Most of current network representation models are learned in unsupervised fashions, which usually lack the capability of discrimination when applied to network analysis tasks, such as node classification. It is worth noting that label information is valuable for learning the discriminative network representations. However, labels of all training nodes are always difficult or expensive to obtain and manually labeling all nodes for training is inapplicable. Different sets of labeled nodes for model learning lead to different network representation results. In this paper, we propose a novel method, termed as ANRMAB, to learn the active discriminative network representations with a multi-armed bandit mechanism in active learning setting. Specifically, based on the networking data and the learned network representations, we design three active learning query strategies. By deriving an effective reward scheme that is closely related to the estimated performance measure of interest, ANRMAB uses a multi-armed bandit mechanism for adaptive decision making to select the most informative nodes for labeling. The updated labeled nodes are then used for further discriminative network representation learning. Experiments are conducted on three public data sets to verify the effectiveness of ANRMAB. © 2018 International Joint Conferences on Artificial Intelligence. All right reserved. Network embedding has been recently used in social network recommendations by embedding low-dimensional representations of network items for recommendation. However, existing item recommendation models in social networks suffer from two limitations. First, these models partially use item information and mostly ignore important contextual information in social networks such as textual content and social tag information. Second, network embedding and item recommendations are learned in two independent steps without any interaction. To this end, we in this paper consider item recommendations based on heterogeneous information sources. Specifically, we combine item structure, textual content and tag information for recommendation. To model the multi-source heterogeneous information, we use two coupled neural networks to capture the deep network representations of items, based on which a new recommendation model Collaborative multi-source Deep Network Embedding (CDNE for short) is proposed to learn different latent representations. Experimental results on two real-world data sets demonstrate that CDNE can use network representation learning to boost the recommendation performance. © 2018 IEEE. Detecting fraudsters is a meaningful problem for both users and e-commerce platform. Existing graph-based approaches mainly adopt shallow models, which cannot capture the highly non-linear relationship between vertexes in a bipartite graph composed of users and items. To address this issue, in this paper we propose a joint deep structure embedding approach FraudNE for fraud detection that (a) can preserve the highly non-linear structural information of networks, (b) is robust to sparse networks, (c) embeds different types of vertexes jointly in the same latent space. It is worth mentioning that we can detect multiple fraudulent groups without the number of groups as a priori. Compared with baselines, our method achieved significant accuracy improvement. © 2018 IEEE. Social recommendation incorporates the social information of the user, such as friend relationship and trust relationship into the traditional recommendation system. From this point of view, social recommendation expands the function of the traditional recommendation to some extent. However, the existing social recommendation methods mostly focus on the general social relation between users and neglects the refinement of group information based on individual interest and trust. To this end, this paper proposes a novel social recommendation model based on the collective intelligence awareness driven by individual interest and trust. Experiments on two real-world datasets demonstrate that the proposed social recommendation method based on group information and individual feature outperforms the three baseline methods on the two evaluation metrics MAE and RMSE. © 2018 IEEE. Deep neural networks have been successfully applied to many data mining problems in recent works. The training of deep neural networks relies heavily upon gradient descent methods, however, which may lead to the failure of training due to the vanishing gradient (or exploding gradient) and local optima problems. In this paper, we present SEvoAE method based on using Evolutionary Multiobjective optimization (EMO) algorithm to train single layer auto-encoder, and sequentially learning deeper representation in a stacking way. SEvoAE is able to achieve accurate feature representation with good sparseness by globally simultaneously optimizing two conflicting objective functions and allows users to flexibly design objective functions and evolutionary optimizers. We compare results of the proposed method with existing architectures for seven classification prob- lems, showing that the proposed method is able to outperform existing methods with a reduced risk of overfitting the training data. Liu, CY, Zhou, C, Wu, J, Hu, Y & Guo, L 2018, 'Social recommendation with an essential preference space', 32nd AAAI Conference on Artificial Intelligence, AAAI 2018, pp. 346-353. Copyright © 2018, Association for the Advancement of Artificial Intelligence (www.aaai.org). All rights reserved. Social recommendation, which aims to exploit social information to improve the quality of a recommender system, has attracted an increasing amount of attention in recent years. A large portion of existing social recommendation models are based on the tractable assumption that users consider the same factors to make decisions in both recommender systems and social networks. However, this assumption is not in concert with real-world situations, since users usually show different preferences in different scenarios. In this paper, we investigate how to exploit the differences between user preference in recommender systems and that in social networks, with the aim to further improve the social recommendation. In particular, we assume that the user preferences in different scenarios are results of different linear combinations from a more underlying user preference space. Based on this assumption, we propose a novel social recommendation framework, called social recommendation with an essential preferences space (SREPS), which simultaneously models the structural information in the social network, the rating and the consumption information in the recommender system under the capture of essential preference space. Experimental results on four real-world datasets demonstrate the superiority of the proposed SREPS model compared with seven state-of-the-art social recommendation methods. © 2017 IEEE. Due to the rapid growth of event-based social networks (EBSNs), event recommendation which helps users find their preferred events has become a popular topic. Different from movies or books in conventional recommendation problem, events usually have recommendation lifetimes and almost all the events to be recommended are upcoming, which brings a severe cold start problem. To achieve better event recommendation performance, we formulates multiple interactions among users, events, groups and locations into an unified framework and propose a collective pairwise matrix factorization (CPMF) model to estimate users' pairwise preferences on events, groups and locations. We further develop an efficient stochastic gradient descent algorithm for the model learning. We conduct experiments on real-world Meetup datasets and the experimental results demonstrate that our CPMF model can outperform the state-of-the-art methods. © Springer International Publishing AG 2017. Extreme learning machine (ELM) is a promising learning method for training 'generalized' single hidden layer feedforward neural networks (SLFNs), which has attracted significant interest recently for its fast learning speed, good generalization ability and ease of implementation. However, due to its manually selected network parameters (e.g., the input weights and hidden biases), the performance of ELM may be easily deteriorated. In this paper, we propose a novel pre-trained extreme learning machine (P-ELM for short) for classification problems. In P-ELM, the superior network parameters are pre-trained by an ELM-based autoencoder (ELM-AE) and embedded with the underlying data information, which can improve the performance of the proposed method. Experiments and comparisons on face image recognition and handwritten image annotation applications demonstrate that P-ELM is promising and achieves superior results compared to the original ELM algorithm and other ELM-based algorithms. Copyright © 2017, Association for the Advancement of Artificial Intelligence (www.aaai.org). All rights reserved. In many time-aware item recommender systems, modeling the accurate evolution of both user profiles and the contents of items over time is essential. However, most existing methods focus on learning users' dynamic interests, where the contents of items are assumed to be stable over time. They thus fail to capture the dynamic changes in the item's contents. In this paper, we present a novel method CDUE for time-aware item recommendation, which captures the evolution of both user's interests and item's contents information via topic dynamics. Specifically, we propose a dynamic sparse topic model to track the evolution of topics for changes in items' contents over time and adapt a vector autoregressive model to profile users' dynamic interests. The item's topics and user's interests and their evolutions are learned collaboratively and simultaneously into a unified learning framework. Experimental results on two real-world data sets demonstrate the quality and effectiveness of the proposed method and show that our method can be used to make better future recommendations. © 2017 IEEE. How to maintain relative high diversity is important to avoid premature convergence in population-based optimization methods. Island model is widely considered as a major approach to achieve this because of its flexibility and high efficiency. The model maintains a group of sub-populations on different islands and allows sub-populations to interact with each other via predefined migration policies. However, current island model has some drawbacks. One is that after a certain number of generations, different islands may retain quite similar, converged sub-populations thereby losing diversity and decreasing efficiency. Another drawback is that determining the number of islands to maintain is also very challenging. Meanwhile initializing many sub-populations increases the randomness of island model. To address these issues, we proposed a dynamic island model (DIM-SP) which can force each island to maintain different sub-populations, control the number of islands dynamically and starts with one sub-population. The proposed island model outperforms the other three state-of-the-art island models in three baseline optimization problems including job shop scheduler, travelling salesmen, and quadratic multiple knapsack. © 2016 ACM.Social recommendation has been widely studied in recent years. Existing social recommendation models use various explicit pieces of social information as regularization terms, e.g., social links are considered as new constraints. However, social influence, an implicit source of information in social networks, is seldomly considered, even though it often drives recommendations in social networks. In this paper, we introduce a new global and local influence-based social recommendation model. Based on the observation that user purchase behaviour is influenced by both global influential nodes and the local influential nodes of the user, we formulate the global and local influence as an regularization terms, and incorporate them into a matrix factorization-based recommendation model. Experimental results on large data sets demonstrate the performance of the proposed method. In this paper we study the problem of learning discriminative features (segments), often referred to as shapelets [Ye and Keogh, 2009] of time series, from unlabeled time series data. Discovering shapelets for time series classification has been widely studied, where many search-based algorithms are proposed to efficiently scan and select segments from a pool of candidates. However, such types of search-based algorithms may incur high time cost when the segment candidate pool is large. Alternatively, a recent work [Grabocka et al., 2014] uses regression learning to directly learn, instead of searching for, shapelets from time series. Motivated by the above observations, we propose a new Unsupervised Shapelet Learning Model (USLM) to efficiently learn shapelets from unlabeled time series data. The corresponding learning function integrates the strengths of pseudo-class label, spectral analysis, shapelets regularization term and regularized least-squares to auto-learn shapelets, pseudo-class labels and classification boundaries simultaneously. A coordinate descent algorithm is used to iteratively solve the learning function. Experiments show that USLM outperforms searchbased algorithms on real-world time series data. In event-based social networks, such as Meetup, social groups refer to self-organized communities that consist of users who share the same interests. In many real-world scenarios, users usually have social group preference and join interested social groups to attend events. It is therefore necessary to consider the influence of social groups to improve the event recommendation performance; however, existing event recommendation models generally consider users' individual preferences and neglect the influence of social groups. To this end, we propose a new Bayesian latent factor model SogBmf that combines social group influence and individual preference for event recommendation. Experiments on real-world data sets demonstrate the effectiveness of the proposed method. Information network mining often requires examination of linkage relationships between nodes for analysis. Recently, network representation has emerged to represent each node in a vector format, embedding network structure, so off-the-shelf machine learning methods can be directly applied for analysis. To date, existing methods only focus on one aspect of node information and cannot leverage node labels. In this paper, we propose TriDNR, a tri-party deep network representation model, using information from three parties: node structure, node content, and node labels (if available) to jointly learn optimal node representation. TriDNR is based on our new coupled deep natural language module, whose learning is enforced at three levels: (1) at the network structure level, TriDNR exploits inter-node relationship by maximizing the probability of observing surrounding nodes given a node in random walks; (2) at the node content level, TriDNR captures node-word correlation by maximizing the co-occurrence of word sequence given a node; and (3) at the node label level, TriDNR models label-word correspondence by maximizing the probability of word sequence given a class label. The tri-party information is jointly fed into the neural network model to mutually enhance each other to learn optimal representation, and results in up to 79% classification accuracy gain, compared to state-of-the-art methods. Random forests are one type of the most effective ensemble learning methods. In spite of their sound empirical performance, the study on their theoretical properties has been left far behind. Recently, several random forests variants with nice theoretical basis have been proposed, but they all suffer from poor empirical performance. In this paper, we propose a Bernoulli random forests model (BRF), which intends to close the gap between the theoretical consistency and the empirical soundness of random forests classification. Compared to Breiman's original random forests, BRF makes two simplifications in tree construction by using two independent Bernoulli distributions. The first Bernoulli distribution is used to control the selection of candidate attributes for each node of the tree, and the second one controls the splitting point used by each node. As a result, BRF enjoys proved theoretical consistency, so its accuracy will converge to optimum (i.e., the Bayes risk) as the training data grow infinitely large. Empirically, BRF demonstrates the best performance among all theoretical random forests, and is very comparable to Breiman's original random forests (which do not have the proved consistency yet). The theoretical and experimental studies advance the research one step further towards closing the gap between the theory and the practical performance of random forests classification. tasks for learning. More details can be found in . © 2016 IEEE. An information cascade occurs when a person observes the actions of others and then engages in the same acts. Cascades may break out if a large population of nodes in the network get affected. The outbreaks of cascades will often bring influential events, which leads to an open research problem: how to accurately predict the cascading outbreaks in social networks? Although there have been some existing works on cascading outbreak prediction, they ignore the structure information of cascades. In this paper, we propose to use subcascades as features for cascade outbreak prediction. We use frequent sequential pattern mining to extract subcascades and then propose a max-margin based classifier to select at most B features for prediction. The proposed model is empirically evaluated on both synthetic and real-world networks. Experimental results demonstrate the effectiveness of the proposed model. © Copyright 2016, Association for the Advancement of Artificial Intelligence (www.aaai.org). All rights reserved.Multi-instance learning (MIL) is useful for tackling labeling ambiguity in learning tasks, by allowing a bag of instances to share one label. Recently, bag mapping methods, which transform a bag to a single instance in a new space via instance selection, have drawn significant attentions. To date, most existing works are developed based on the original space, i.e., utilizing all instances for bag mapping, and instance selection is indirectly tied to the MIL objective. As a result, it is hard to guarantee the distinguish capacity of the selected instances in the new bag mapping space for MIL. In this paper, we propose a direct discriminative mapping approach for multi-instance learning (MILDM), which identifies instances to directly distinguish bags in the new mapping space. Experiments and comparisons on real-world learning tasks demonstrate the algorithm performance. © Springer International Publishing Switzerland 2016. Multiple-Instance Learning (MIL) represents a new class of supervised learning tasks, where training examples are bags of instances with labels only available for the bags. To solve the instance label ambiguity, instance selection based MIL models were proposed to convert bag learning to traditional vector learning. However, existing MIL instance selection approaches are all based on the instances inside the bags. In this case, at the original instance space, those potential informative instances, which do not occur in the bags are discarded. In this paper, we propose a novel learning method, MILEIS (Multiple-Instance Learning with Evolutionary Instance Selection), to adaptively determine the informative instances for feature mapping. The unique evolutionary search mechanism, including instance initialization, mutation, and crossover, ensures that MILEIS can adjust itself to the data without explicit specification of functional or distributional form for the underlying model. By doing so, MILEIS can also take full advantage of those creative informative instances to help feature mapping in an accurate way. Experiments and comparisons on real-world applications demonstrate the effectiveness of the proposed method. © 2016 IEEE. Social recommendation explores social information to improve the quality of a recommender system. It can be further divided into explicit and implicit social network recommendation. The former assumes the existence of explicit social connections between users in addition to the rating data. The latter one assumes the availability of only the ratings but not the social connections between users since the explicit social information data may not necessarily be available and usually are binary decision values (e.g., whether two people are friends), while the strength of their relationships is missing. Most of the works in this field use only rating data to infer the latent social networks. They ignore the dynamic nature of users that the preferences of users drift over time distinctly. To this end, we propose a new Implicit Dynamic Social Recommendation (IDSR) model, which infers latent social network from cascade data. It can sufficiently mine the information contained in time by mining the cascade data and identify the dynamic changes in the users in time by using the latest updated social network to make recommendations. Experiments and comparisons on three real-world datasets show that the proposed model outperforms the state-of-The-Art solutions in both explicit and implicit scenarios. © 2016 IEEE.Deep learning has become increasingly popular in both academic and industrial areas in the past years. Various domains including pattern recognition, computer vision, and natural language processing have witnessed the great power of deep networks. However, current studies on deep learning mainly focus on data sets with balanced class labels, while its performance on imbalanced data is not well examined. Imbalanced data sets exist widely in real world and they have been providing great challenges for classification tasks. In this paper, we focus on the problem of classification using deep network on imbalanced data sets. Specifically, a novel loss function called mean false error together with its improved version mean squared false error are proposed for the training of deep networks on imbalanced data sets. The proposed method can effectively capture classification errors from both majority class and minority class equally. Experiments and comparisons demonstrate the superiority of the proposed approach compared with conventional methods in classifying imbalanced data sets on deep neural networks. © 2016 IEEE.In order to better model complex real-world data and to develop robust features that capture relevant information, we usually employ unsupervised feature learning to learn a layer of features representations from unlabeled data. However, developing domain-specific features for each task is expensive, time-consuming and requires expertise of the data. In this paper, we introduce multi-instance clustering and graphical learning to unsupervised transfer learning. For a better clustering efficient, we proposed a set of algorithms on the application of traffic data learning, instance feature representation, distance calculation of multi-instance clustering, multi-instance graphical cluster initialisation, multi-instance multi-cluster update, and graphical multi-instance transfer clustering (GMITC). In the end of this paper, we examine the proposed algorithms on the Eastwest datasets by couples of baselines. The experiment results indicate that our proposed algorithms can get higher clustering accuracy and much higher programming speed. © 2015 IEEE. Extreme Learning Machine (ELM) is an elegant technique for training Single-hidden Layer Feedforward Networks (SLFNs) with extremely fast speed that attracts significant interest recently. One potential weakness of ELM is the random generation of the input weights and hidden biases, which may deteriorate the classification accuracy. In this paper, we propose a new Memetic Algorithm (MA) based Extreme Learning Machine (M-ELM) for classification problems. M-ELM uses Memetic Algorithm which is a combination of population-based global optimization technique and individual-based local heuristic search method to find optimal network parameters for ELM. The optimized network parameters will enhance the classification accuracy and generalization performance of ELM. Experiments and comparisons on 22 benchmark data sets demonstrate that M-ELM is able to provide highly competitive results compared with other state-of-the-art varieties of ELM algorithms. © Springer International Publishing Switzerland 2015. Frequent pattern mining from uncertain data has been paid closed attention due to most of the real life databases contain data with uncertainty. Several approaches have been proposed for mining high significance frequent itemsets over uncertain data, however, previous algorithms yield many redundant frequent itemsets and require to set an appropriate user specified threshold which is difficult for users. In this paper, we formally define the problem of top-fc minimal redundancy probabilistic frequent pattern mining, which targets to identify top-fc patterns with high-significance and low-redundancy simultaneously from uncertain data. We first design uncertain pattern correlation based on Pearson correlation coefficient, which considers pattern uncertainty. Moreover, we present a new algorithm, UTFP, to mine top-fc minimal redundancy frequent patterns of length no less than minimum length mind without setting threshold. We further propose a set of strategies to prune and reduce search space. Experimental results demonstrate that the proposed algorithm achieves good performance in terms of finding top-fc frequent patterns with low redundancy on probabilistic data. Our method represents the first research endeavor for probabilistic data based top-fc correlated pattern mining. © 2014 IEEE. Naive Bayes (NB) network is a popular classification technique for data mining and machine learning. Many methods exist to improve the performance of NB by overcoming its primary weakness the assumption that attributes are conditionally independent given the class, using techniques such as backwards sequential elimination and lazy elimination. Some weighting technologies, including attribute weighting and instance weighting, have also been proposed to improve the accuracy of NB. In this paper, we propose a dual weighted model, namely DWNB, for NB classification. In DWNB, we firstly employ an instance similarity based method to weight each training instance. After that, we build an attribute weighted model based on the new training data, where the calculation of the probability value is based on the embedded instance weights. The dual instance and attribute weighting allows DWNB to tackle the conditional independence assumption for accurate classification. Experiments and comparisons on 36 benchmark data sets demonstrate that DWNB outperforms existing weighted NB algorithms. © 2014 IEEE. A Bayesian Network (BN) is a graphical model which can be used to represent conditional dependency between random variables, such as diseases and symptoms. A Bayesian Network Classifier (BNC) uses BN to characterize the relationships between attributes and the class labels, where a simplified approach is to employ a conditional independence assumption between attributes and the corresponding class labels, i.e., the Naive Bayes (NB) classification model. One major approach to mitigate NB's primary weakness (the conditional independence assumption) is the attribute weighting, and this type of approach has been proved to be effective for NB with simple structure. However, for weighted BNCs involving complex structures, in which attribute weighting is embedded into the model, there is no existing study on whether the weighting will work for complex BNCs and how effective it will impact on the learning of a given task. In this paper, we first survey several complex structure models for BNCs, and then carry out experimental studies to investigate the effectiveness of the attribute weighting strategies for complex BNCs, with a focus on Hidden Naive Bayes (HNB) and Averaged One-Dependence Estimation (AODE). Our studies use classification accuracy (ACC), area under the ROC curve ranking (AUC), and conditional log likelihood (CLL), as the performance metrics. Experiments and comparisons on 36 benchmark data sets demonstrate that attribute weighting technologies just slightly outperforms unweighted complex BNCs with respect to the ACC and AUC, but significant improvement can be observed using CLL. Graph classification has traditionally focused on graphs generated from a single feature view. In many applications, it is common to have useful information from different channels/views to describe objects, which naturally results in a new representation with multiple graphs generated from different feature views being used to describe one object. In this paper, we formulate a new Multi-Graph-View learning task for graph classification, where each object to be classified contains graphs from multiple graph-views. This problem setting is essentially different from traditional single-graph-view graph classification, where graphs are from one single feature view. To solve the problem, we propose a Cross Graph-View Sub graph Feature based Learning (gCGVFL) algorithm that explores an optimal set of sub graphs, across multiple graph-views, as features to represent graphs. Specifically, we derive an evaluation criterion to estimate the discriminative power and the redundancy of sub graph features across all views, and assign proper weight values to each view to indicate its importance for graph classification. The iterative cross graph-view sub graph scoring and graph-view weight updating form a closed loop to find optimal sub graphs to represent graphs for multi-graph-view learning. Experiments and comparisons on real-world tasks demonstrate the algorithm's performance. Analyses show that the absorption band position determines the type of mineral radically. The paper proposes a method of applying GA (Genetic Algorithm) to the selection of the uranium mineral band feature sub-set. First, on the fundamental of the correlation between feature-based metrics: information entropy, information gain, symmetrical uncertainty and type space, the GA which is a random search algorithm uses the four standards as fitness functions to select the best feature points. Then set three different sub-intervals, extend the best feature points to the best feature sub-sets. Finally, the best feature sub-sets are used for classification. Experiments show that information gain and symmetrical uncertainty that based on genetic algorithm are better than based on CFS in classification. © 2013 IEEE. In this paper, we describe the implementation mechanism of the basic movements in Robocup 3D Simulation game, study the ZMP and the rotation matrix's application in the agent's action, which compared with simulation tracking data. In addition, we designed and developed a dynamic simulation software used to simulate agent body movements to help us with the in-depth analysis of the agent motion. And we also use evolutionary algorithm to optimize the motion parameters of Agent. Experiments proved that method of rotation matrix and the ZMP in agent movement calculation meet the accuracy requirements such as real-time. The software of dynamic simulation and Evolutionary Algorithm perform well in agent motion analysis and parameter optimization. © 2013 Springer Science+Business Media. Decision tree has most widely used for classification. However the main influence of decision tree classification performance is attribute selection problem. The paper considers a number of different attribute selection measures and experimentally examines their behavior in classification. The results show that the choice of measure doesn't affect the classification accuracy, but the size of the tree is influenced significantly. The main effect of the new attribute selection measures which base on normal gain and distance is that they generate smaller trees than traditional attribute selection measures. Naive Bayes (NB) is a popularly used classification method. One potential weakness of NB is the strong conditional independence assumption between attributes, which may deteriorate the classification accuracy. In this paper, we propose a new Artificial Immune System based Weighted Naive Bayes (AISWNB) classifier. AISWNB uses immunity theory in artificial immune systems to find optimal weight values for each attribute. The adjusted weight values will alleviate the conditional independence assumption and help calculate the conditional probability in an accurate way. Because AISWNB uses artificial immune system search mechanism to find optimal weights, it does not need to know the importance of individual attributes nor the relevance among attributes. As a result, it can obtain optimal weight value for each attribute during the learning process. Experiments and comparisons on 36 benchmark data sets demonstrate that AISWNB outperforms other state-of-the-art attribute weighted NB algorithms. Probability estimation from a given set of training examples is crucial for learning Naive Bayes (NB) Classifiers. For an insufficient number of training examples, the estimation will suffer from the zero-frequency problem which does not allow NB classifiers to classify instances whose conditional probabilities are zero. Laplace-estimate and M-estimate are two common methods which alleviate the zero-frequency problem by adding some fixed terms to the probability estimation to avoid zero conditional probability. A major issue with this type of design is that the fixed terms are pre-specified without considering the uniqueness of the underlying training data. In this paper, we propose an Artificial Immune System (AIS) based self-adaptive probability estimation method, namely AISENB, which uses AIS to automatically and self-adaptively select the optimal terms and values for probability estimation. The unique immune system based evolutionary computation process, including initialization, clone, mutation, and crossover, ensure that AISENB can adjust itself to the data without explicit specification of functional or distributional forms for the underlying model. Experimental results and comparisons on 36 benchmark datasets demonstrate that AISENB significantly outperforms traditional probability estimation based Naive Bayes classification approaches. The characteristics of hyperspectral data with large number of bands, each bands have correlation, which has required a very high demand of solving the problem. In this paper, we take the features of hyperspectral remote sensing data and classification algorithms as the background, applying the ensemble learning to image classification.The experiment based on Weka. I compared the classification accuracy of Bagging, Boosting and Stacking on the base classifiers J48 and BP. The results show that ensemble learning on hyperspectral data can achieve higher classification accuracy. So that it provide a new method for the classification of hyperspectral remote sensing image. © (2012) Trans Tech Publications, Switzerland. Wu, J, Cai, Z, Gao, Z & Zhang, Y 2010, 'Scaling up the accuracy of Averaged One-Dependence Estimators with Decision Tree-Based Attribute Weighted', Proc. of the IADIS Int. Conf. Intelligent Systems and Agents 2010, Proc. of the IADIS European Conference on Data Mining 2010, Part of the MCCSIS 2010, pp. 137-142. Averaged One-Dependence Estimators (AODE) is a most effective improved naive Bayes (NB) algorithm based on probabilistic classification learning technique. It addresses the attribute independence assumption of naive Bayes by averaging all of the dependence estimators. Researchers have proposed out many effective methods to improve the performance of AODE, such as attribute weighted method, backwards sequential elimination method, lazy elimination method and so on. In this paper, our research is focused on weighted method. We firstly present a simple filter method for setting attribute weights of AODE and then present an improved algorithm called Decision Tree-Based Attribute Weighted Averaged One-Dependence Estimator, simply DTWAODE. In DTWAODE, the weight for an attribute is set according to its depth in a decision tree which is built on the training samples. We experimentally tested DTWAODE in Weka system, using the whole 36 standard UCI data sets and the experimental results show that our new algorithm performs better than AODE. © 2010 IADIS. K-Nearest-Neighbor (KNN) as an important classification method based on closest training examples has been widely used in data mining due to its simplicity, effectiveness, and robustness. However, the class probability estimation, the neighborhood size and the type of distance function confronting KNN may affect its classification accuracy. Many researchers have been focused on improving the accuracy of KNN via distance weighted, attribute weighted, and dynamically selected methods et al. In this paper, we first reviewed some improved algorithms of KNN in three categories mentioned above. Then, we singled out an improved algorithm called dynamic k-nearest-neighbor with distance and attribute weighted, simply DKNDAW. In DKNDAW, we mixed dynamic selected, distance weighted and attribute weighted methods. We experimentally tested our new algorithm in Weka system, using the whole 36 standard UCI data sets which are downloaded from the main website of Weka. In our experiment, we compared it to KNN, WAKNN, KNNDW, KNNDAW, and DKNN. The experimental results show that DKNDAW significantly outperforms KNN, WAKNN, KNNDW, KNNDAW, and DKNN in terms of the classification accuracy. © 2010 IEEE. The extensive application of tree model has made tree mining become a hot field in data mining research. As an important branch of tree mining, tree cluster plays a fundamental analysis role in many areas. In this paper, a tree cluster algorithm was proposed based on least closed tree, which effectively solved problems in large amount of data in practical application. The basic method is bringing forward least closed tree as the candidate cluster feature, using dynamic threshold by similarity cluster to make tree cluster operation be more quick and accurate. Experimental results show that the method has higher speed and efficiency than that of other similar ones especially when large number of tree nodes. © 2009 IEEE. In RoboCup 2008 World Championship, the model of RoboCup 3D simulation has changed from Soccerbot to Nao. A series of parameters have been changed in a Nao model. This has greatly increased the complexity and difficulty of motion controller for Nao. Based on the analysis of Nao's structure, our team G-Star has worked out the quantitative relation of joint angle in motion control and developed a toolkit to calculate the angle of joints accurately. In the experiment on RoboCup 3D server platform, our robots can stand up promptly and walk smoothly, which is fast enough to meet the real-time requirements. In this paper, we will give a detailed description of the architecture in basic motion using Nao model. © 2009 Springer-Verlag Berlin Heidelberg. Mining unordered trees are very useful in domains like XML Date, Biological Information, Web Structure, etc. In this paper, we introduce an efficient algorithm UTMiner (Unordered Trees Miner). As the trees are unordered, in order to avoid mining the same subtrees, an efficient unordered trees standardization is first introduced to transform the unordered trees into the standard subtrees. Then UTMiner is used to get all standardized subtrees. UTMiner builds a multilayered data structure based on subtree vector and the hash table so it reduces isomorphism time in the mining process. It requires only one database scanning so it reduces the scanning times and improves the efficiency, particularly in a large database's mining process. Many experiments have shown that the UTMiner is feasible and more efficient than other. © 2009 IEEE. Classification algorithms as an important technology in data mining and machine learning have been widely studied and applied. Many methods can be used to build classifiers, such as the decision tree, Bayesian method, instance-based learning, artificial neural network and support vector machine. This paper focuses on the classification methods based on decision tree learning, Bayesian learning, and instance-based learning. In each kind of classification methods, many improvements have been presented to scale up the classification accuracy of the basic algorithm. The paper also studies and compares the classification performance on classification accuracy empirically, using the whole 36 UCI data sets obtained from various sources selected by Weka. The experiment results re-demonstrate the efficiency of all these improved algorithms. © Springer-Verlag 2009. When our learning task is to build a model with accurate classification, C4.5 and NB are two very important algorithms for achieving this task because of their simplicity and high performance. In this paper, we present a combined classification algorithm based on C4.5 and NB, simply C4.5-NB. In C4.5-NB, the class probability estimates of C4.5 and NB are weighted according to their classification accuracy on the training data. We experimentally tested C4.5-NB in Weka system using the whole 36 UCI data sets selected by Weka, and compared it with C4.5 and NB. The experimental results show that C4.5-NB significantly outperforms C4.5 and NB in terms of classification accuracy. Besides, we also observe the ranking performance of C4.5-NB in terms of AUC (the area under the Receiver Operating Characteristics curve). Fortunately, C4.5-NB also significantly outperforms C4.5 and NB. © 2008 Springer Berlin Heidelberg. Existing frequent subgraph mining algorithms can operate efficiently on graphs that are sparse, have vertices with low and bounded degrees, and contain well-labeled vertices and edges. However, there are a number of applications that lead to graphs that do not share these characteristics, for which these algorithms highly become inefficient. In this paper we propose a fast algorithm for mining frequent subgraphs in large database of labeled graphs. The algorithm uses incidence matrix to represent the labeled graphs and to detect their isomorphism. Starting from the frequent edges from the graph database, the algorithm searches the frequent subgraphs by adding frequent edges progressively. By normalizing the incidence matrix of the graph, the algorithm can effectively reduce the computational cost on verifying the isomorphism of the subgraphs. Experimental results show that the algorithm, has higher speed and efficiency than that of other similar ones. © 2008 Academy Publisher. An algorithm for mining frequent subgraphs in large database of labeled graphs is proposed. The algorithm uses incidence matrix to represent the labeled graphs and to detect their isomorphism. Starting from the frequent edges from the graph database, the algorithm searches the frequent subgraphs by adding frequent edges progressively. By normalizing the incidence matrix of the graph, the algorithm can effectively reduce the computational cost on verifying the isomorphism of the subgraphs. Experimental results show that the algorithm has higher speed and efficiency than that of other similar ones. © 2008 IEEE. Induced subtrees mining is of important researching value in the fields of XML documents, bioinformatics, web log and so forth. In this paper, the two conceptions of subtree vector and pruning threshold are proposed, and an algorithm ITMSV (induced subtrees mining based on subtree vector) is presented to discover frequent induced subtrees quickly by taking full advantages of the features of subtree vector and combining with the hash table. The algorithm, as a result of constructing a multilayered data structure, can lessen the time of distinguishing isomorphism during mining, and need scan database only once so that it induces times of scanning and improves the efficiency of algorithm. The experimental result shows that the algorithm ITMSV is more efficient and effective than TreeMiner. © 2008 IEEE.